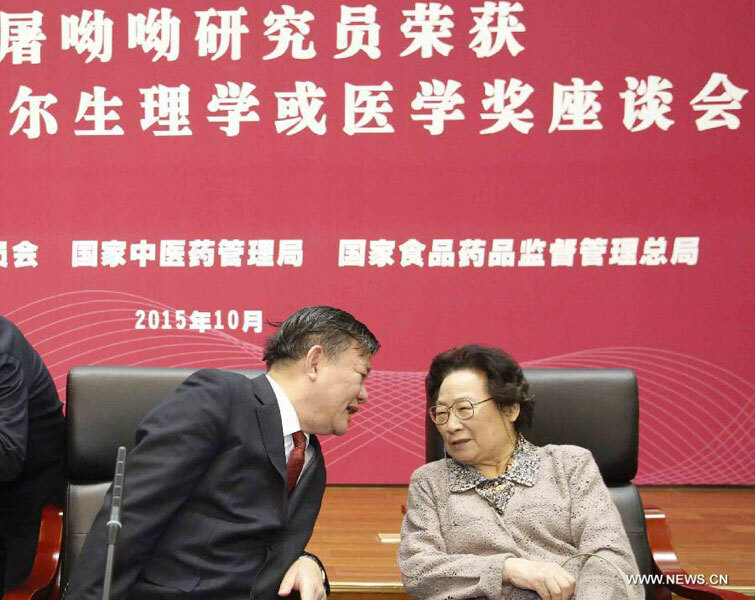 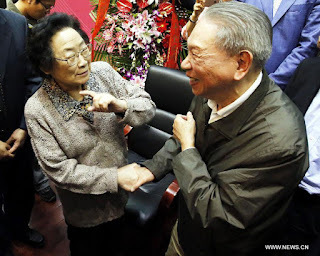 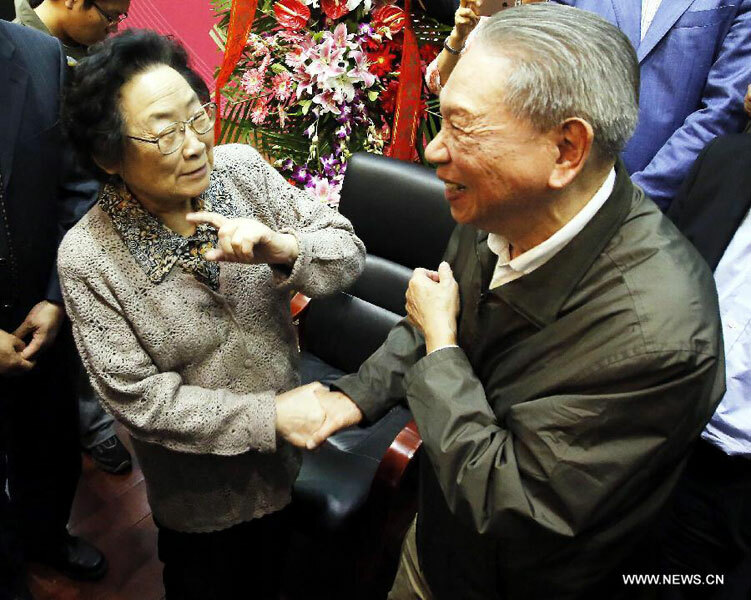 Tu Youyou (R) chats with Chen Zhu, president of the Chinese Medical Association, before a seminar celebrating Tu Youyou's winning the 2015 Nobel Prize for Physiology or Medicine in Beijing, capital of China, Oct. 8, 2015. 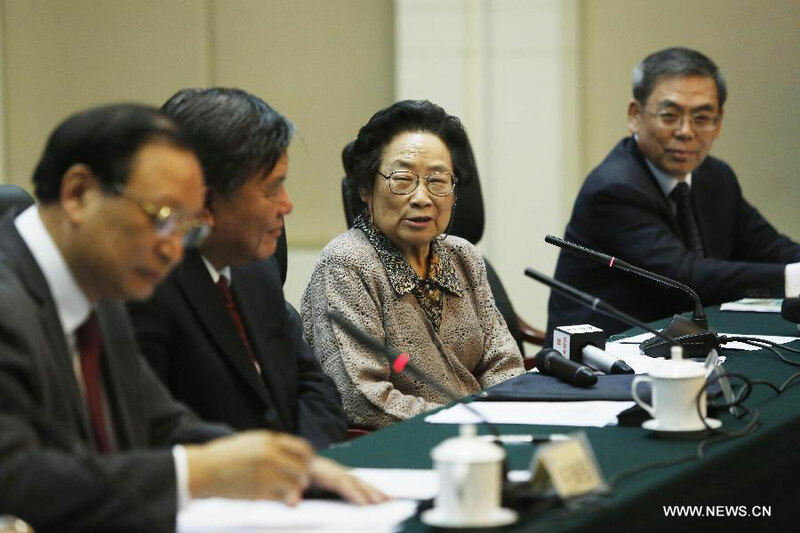 Tu Youyou (L) chats with her old colleague Chen Keji after a seminar celebrating her winning the 2015 Nobel Prize for Physiology or Medicine in Beijing, capital of China, Oct. 8, 2015. 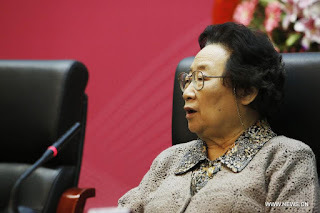 Tu Youyou speaks during a seminar celebrating her winning the 2015 Nobel Prize for Physiology or Medicine in Beijing, capital of China, Oct. 8, 2015.